Sun’s out, fun’s out! 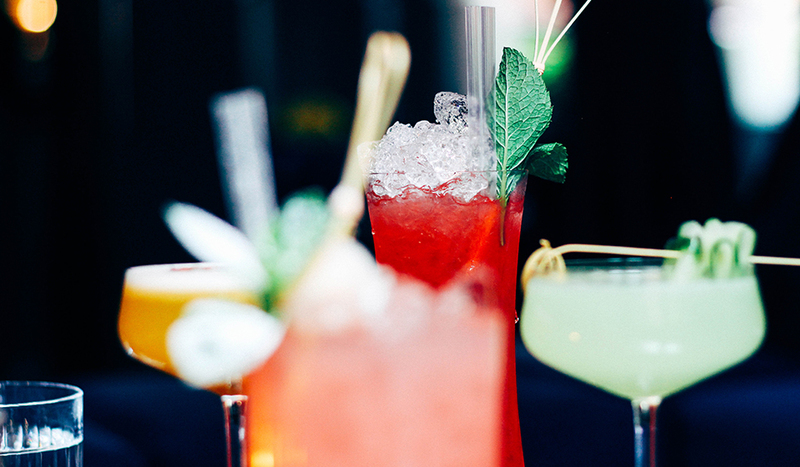 Get thee to one of these great bars in Chinatown for a summery tipple or ten. The mercury has well and truly risen and there’s only one way to stay cool in the heat: a cheeky ice-cold beverage. Chinatown isn’t only about Asian cuisine, in fact the area’s packed with awesome bars and pubs of international persuasions. Here’s how to wet your whistle in Chinatown with our guide to the best bars for summertime drinking. This chichi little spot delivers super-seductive cocktails in spades. Located above Ku Bar, The Light Lounge is unashamedly glamorous – all twinkly chandeliers, fragrant flowers and shiny leather banquettes. If you’re feeling flush, keep cool with a chilled bottle of Ruinart champagne, otherwise, try their house, Light Lounge Sour – a blend of rum, raspberry, peach puree, lemon and egg white. 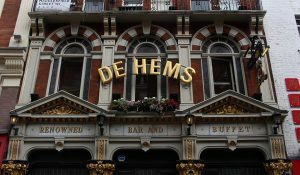 Macclesfield Street’s De Hems has a ridiculously long heritage evolving WW2 resistance, oysters and The Rolling Stones. But enough of that, what really matters is its fine selection of cold craft ales like St Stefanus and Sierra Nevada. Just the tonic for a super summery afternoon. Tonic you say? Well, De Hems have plenty to go with that too, courtesy of plenty of niche and artisanal varieties of gin. It may be tricky to find (tip: look for the disheveled black door) on Gerrard Street but once inside, ECC catapults you from Chinatown straight to a swish Parisian Deco lounge. 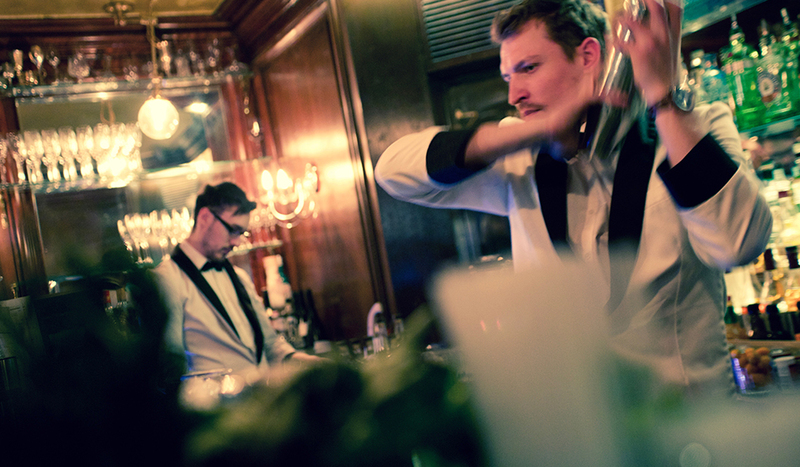 Their luscious libations are seriously good – expect expertly blended mixology with witty names. Try the Work Of Art – a masterful blend of 11 ingredients including Vulson White Rhino Rye, Vermouth del Professore, Laphroaig 10 Year Old Single Malt Whisky, Aperol and all spice. London’s biggest Irish pub – and probably one if the Capital’s most authentic – Waxy O’Connor’s brings all the jollities of the Emerald Isle to Chinatown. With four bars spread over six levels, you can weave your way through to pub to find a shady spot to sink your ice-cold Guinness. Or, should you fancy some sun, Waxy’s is always buzzing outside in summer so park up with your pint and enjoy the craic. 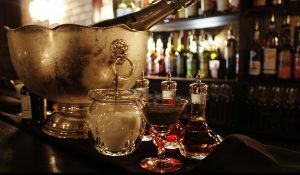 With great looking staff, thumping tunes and good vibes aplenty, what more would you want from this award-winning gay bar? 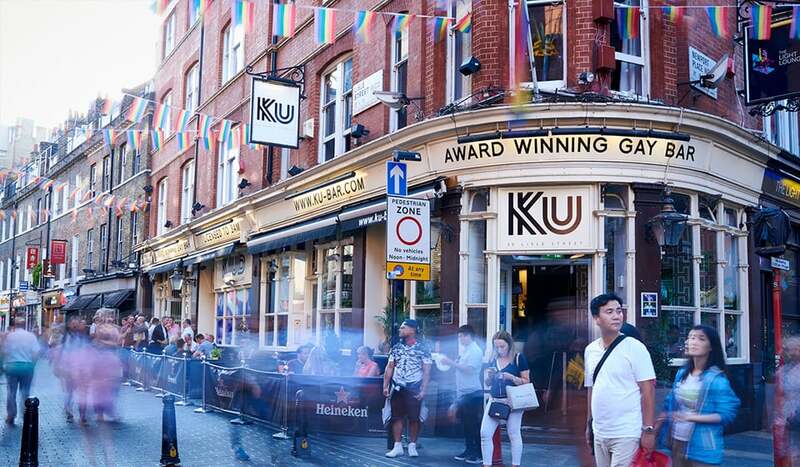 Ku Bar has been a Lisle Street hotspot for ten years and is a must-visit destination for a slice of Balearic-fun in central London. 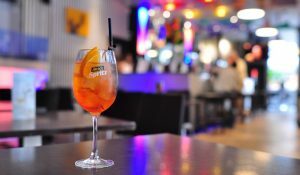 Grab an Aperol Spritz and plot up on their outside terrace to people-watch in the sun.